When it's cold out,I live in my knee high boots. It makes getting dress so easy for me,I need a sweater and skit and I'm out of the door. 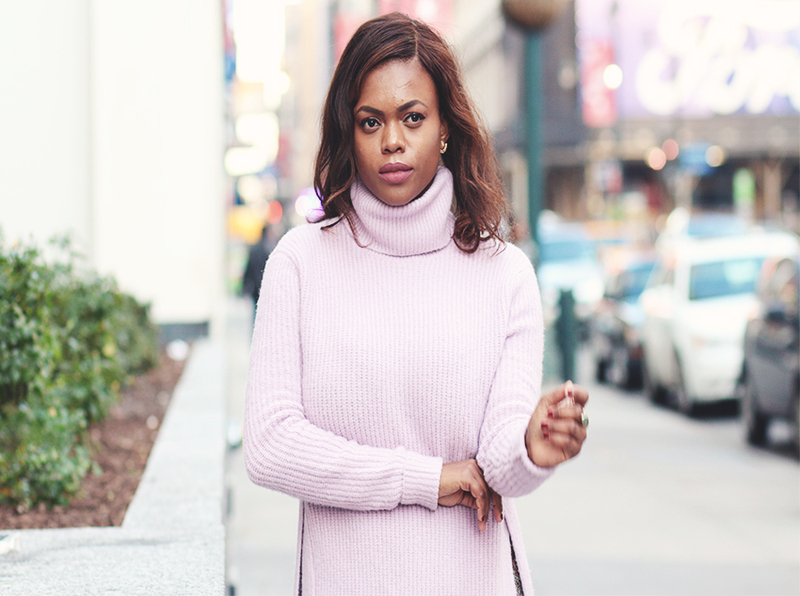 I've acquired a new favorite sweater from ASOS and wore it this H&M weave skirt which is currently on sale. Sorry for the lack of posts. It gets crazy around this time,running errands trying to figure out presents and what to wear to work's holiday party which is this Friday.Done with shopping yet?